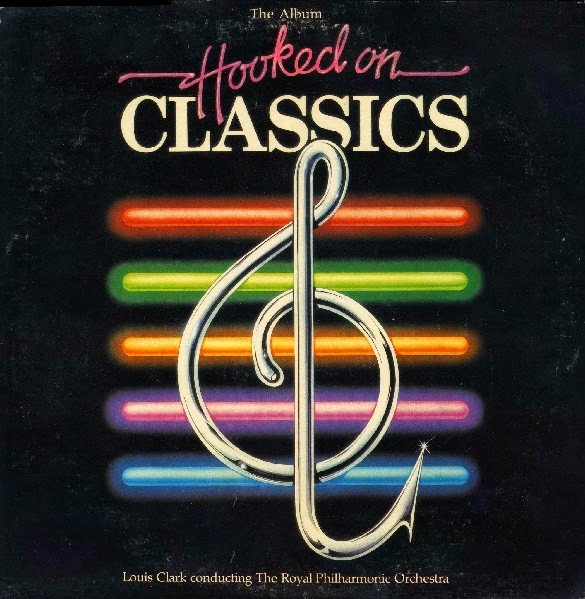 When you think of classical music, K-Tel isn't exactly the first name that comes to mind. K-Tel, as everyone knows, was the purveyor of microgroove albums of all the pop hits that's print to fit. 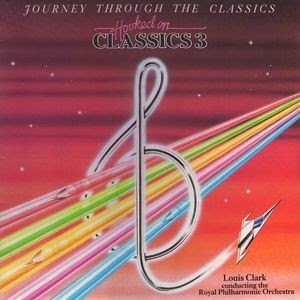 So what was K-Tel doing messing around with classical music? The story begins in the UK at the height of the Stars On 45 fad. 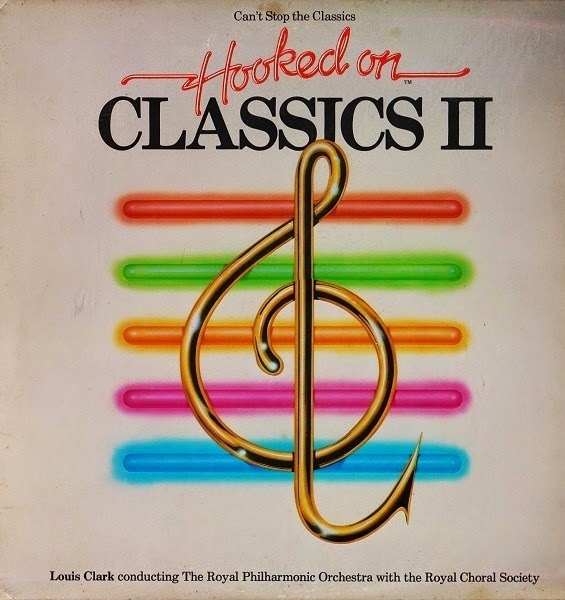 Louis Clark, former arranger of Electric Light Orchestra had an idea of making a similar medley album, using recognizable pieces of classical music linked together with a disco beat. 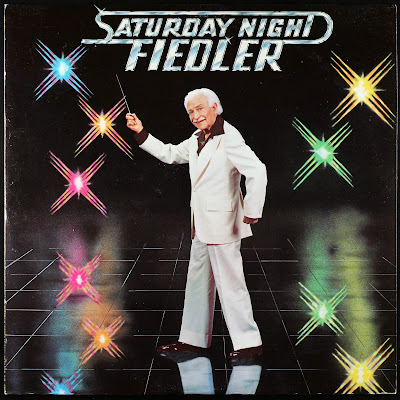 He thought it could re-energize the classical genre the way the Stars On 45 helped re-energize the Beatles catalog for a new generation. He found an unlikely supporter and partner in K-Tel UK. While classical purists loudly condemned this practice, it's worth noting that there was a side benefit. Classical music even then was largely dying as fewer young people were exposed to the music. These albums, for all their campiness and unconventional approaches did introduce classical elements to a newer generation. It may not be your grandpa's classical music, but they illustrated what could be done with it in contemporary music. If they only got that far it was worth it as classical music, while still an increasingly obscure genre and long vanished off commercial radio, is still very much alive and it's influence still occasionally pops up now and then in contemporary pop and rock music. 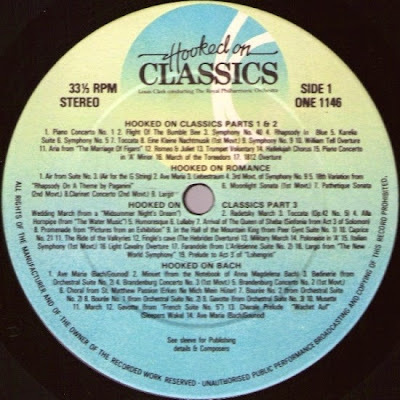 Hooked On Classics was released in the UK and became a phenomenal smash hit. 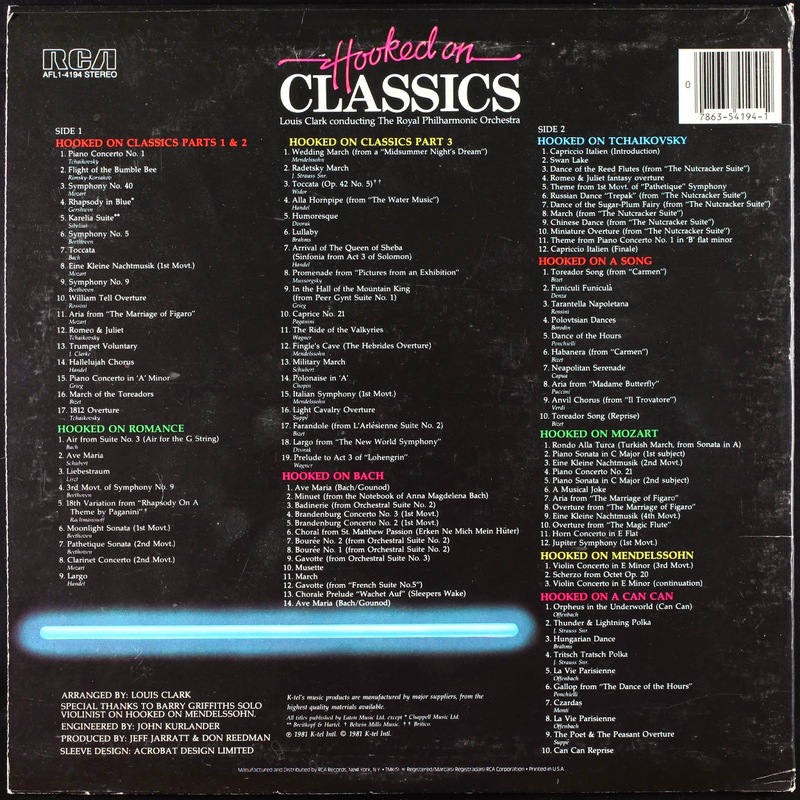 However in the US, K-Tel needed to get this out to real record stores, as most of K-Tel's product was sold in discount stores. And to the radio stations. RCA had all these connections. So they arranged a distribution deal through RCA Records in the US. 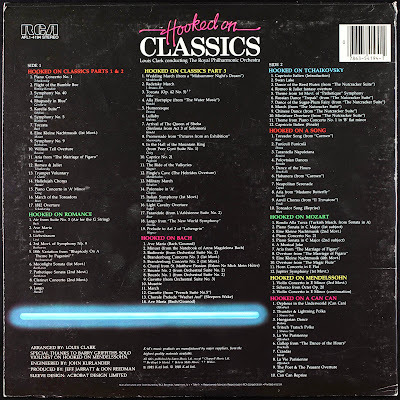 This is K-Tel's only originally produced US Top 40 hit single, making it to #10 in February of 1982. Hooked On Classics spawned two sequel albums, each selling far less than the first in 1982 and 1983.